Amongst the ruins of Isca Augusta you may just find Adrian Goldsworthy. The Isca Augusta was once a Roman legionary fortress and settlement. Why is it that over the centuries historians, from Edward Gibbon to Adrian Goldsworthy, have been enchanted or inspired by ancient Rome ? I dare to say it is likely because we love the theatre and drama of gladiators spilling blood with their swords to the quaint daily lives of Rome’s citizens. Some of us too, like the idea of walking along side the giants of history like Augustus, who was the architect that transformed Rome from a republic to an empire or Constantine, who arguably through two decisions adopting Christianity and shift the Roman empire’s heart east to Constantinople transformed the Roman world. There are others too, who stir the imagination across the breadth of history, like Hannibal, Anthony and Cleopatra through to Napoleon. I am mesmerised by all of them. In fact I cannot see the day where we will stop being intrigued by all those I have mentioned thus far. I guess that is why we continually read, research and write about Rome and history in general. Every generation produces historians or writers who find something new and interesting about Roman History. This leads me to introduce, Dr. Adrian Goldsworthy, as my next guest in my Great Writers series. Dr. Goldsworthy and I are roughly the same age. Why I mention this is because both of us are relatively young (40’s) but share a passion for something so ancient. Though I have to admit I am a little envious of Adrian. While I read about Roman history in my youth, Adrian lived it often scrambling over Roman ruins in South Wales. From there he went on to study Ancient and Modern History at St. John’s College, Oxford University. In time he became a teacher at King’s College but his real love was writing. Over the past ten years as a prolific writer, with a great attention to detail, he has written some of the best works on the Roman army and its warlords. Not only has he covered great individuals like Caesar and Hannibal, he is also quite apt at historical fiction. With a wealth of insight on all things Rome, Adrian was kind enough to give up his time to be interview by me. Roman history is one of those subjects that has been covered from post to pillar for centuries. Why do you believe we are all so fascinated by it? As a historian, how do you know what is the best balance to strike between telling a good story and informing the reader simply about historical facts? There are so many interesting histories and manuscripts around the world, except we struggle to gain access to them, partly because there are no reliable translations and/or publishers who are willing to bring those books to us. I read somewhere that only a very small percentage of books around the world are translated into English. Is there anything we can do about it? Or what I should be asking is how much out there has not yet been decoded by academics? ‘In the Name of Rome’ focuses on Rome’s military might. Belisarius (above) is one of my favourite Roman/Byzantine generals. Thwarted at almost every turn by his own emperor, his wife, other generals and officers under his command, this guy didn’t really stand a chance in becoming a truly great, maybe even the greatest Roman general. If only, he had usurped the throne and did things his own way. But we will never know. 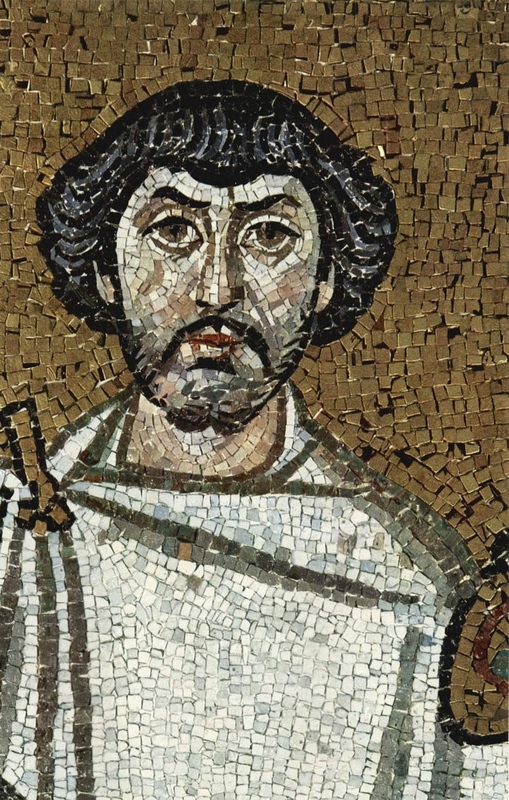 In your opinion where does Belisarius rank amongst the greatest generals of Rome? Rome has had many watershed moment throughout its long history. From the psychological scare inflicted upon Rome by Hannibal at Cannae, Julius Caesar crossing the Rubicon to Constantine’s alleged vision of the cross. Is there another moment for you that stands out as one of the most significant? Bust of Macrinus, from the Capitoline Museum. Dr. Goldsworthy suggest that his elevation as emperor is arguably one of the significant moments in Roman history. Julius Caesar is one of Rome’s leading characters . He is arguably as you put it in the preface of ‘The Fall of the West’ “…the most famous Roman”. Can you tell us a very little known fact about the man? Without Caesar, the Roman republic may not have evolved into an Empire. Is it possible that an individual or tyrant may have stepped up and set Rome down that path anyway ? Do you as an historian think about the alternative or is it a historians duty to adhere to the facts? Where did the inspiration for writing historical fiction come from? Having spent much of your profession career writing about ancient history from the Punic Wars to the fall of Rome, who are your five favourite historical figures? Can you elaborate on one? A huge thank you to Dr. Adrian Goldsworthy for his patience, time and contribution. You can visit or contact him via his website or you can read the many wonderful books he has written from The Fall of Rome: The Death of a Roman Superpower to his Napoleonic fictions which includes the likes of True Soldier Gentlemen. Photo Credit All images are in the public domain except the photo of the Isca Augusta fortress is used under the Creative Commons Attribution 2.0 License. The aureus coin of Marrinus and the statue of Augustus of Prima Porta are both used under the Attribution-ShareAlike 3.0 Unported license. Portrait of Dr. Adrian Goldsworthy is courtesy of the author. That’s great advice by Caesar and all writers can apply that even if not writing about history. I love learning about the Romans. My art history classes ignited this passion. I remember Adrian Goldsworthy from years ago, on the old BBC TV show Time Commanders (essentially members of the public playing Rome Total War with advice from military historians). It was very enjoyable in a slightly odd way! It was great to find out that he’s also a very good writer. His biography of Julius Caesar was superb, and I’m looking forward to reading his Augustus. Awesome, awesome interview! Really fascinating! My friend Robert Horvat has scored another amazing interview with a historian! 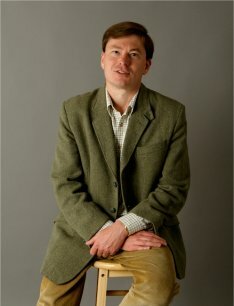 This time it’s Adrian Goldsworthy, who writes about the Roman world. Terrific interview, and once again I’m envious!